We’ve all met this person haven’t we? They seem to know everybody’s business and everything that’s going on. Most of the time their behaviour might be pretty harmless but occasionally they’ll spread rumours or hearsay, sometimes more often than you’ll be aware of. 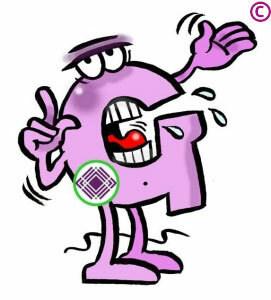 However, at its most serious, gossip is a form of verbal harassment. 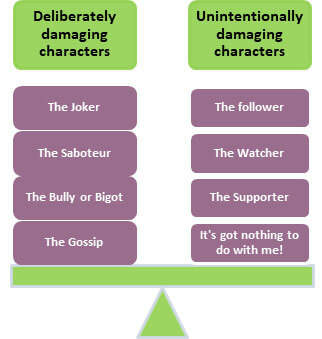 What these characters say and do could impact a colleague’s career or reputation at work and turn people against one another. Left unchecked, malicious gossip can create an atmosphere of mistrust where productivity and morale suffers. A code of conduct is vital for any organisation – have you got yours in place? Sometimes people face problems at work and don’t know how to deal with them, including bullying, harassment and discrimination. If people in your organisation needed help, would they know where to turn? Our workshops help you to create an environment where everyone thinks about their actions, identify potentially harmful situations and, where they do happen, feel confident enough to speak out and believe they’ll be listened to. So, what is a code of conduct? In simple terms, it’s a common sense approach to what’s acceptable and, importantly, what’s not in your organisation. Think of it as a set of guidelines around dignity and respect that help treat everyone equally. A big part of our Code of Conduct workshop is about education and stopping unintentional offence around things like gender and gender reassignment, sexual orientation, disability, and age to highlight just a few examples. Since April 2011, these and a number of other areas are protected by law, so you could face potentially damaging legal and reputational costs if you’re found to have actively discriminated against anyone on any of these grounds. Even something as innocuous as office banter or a poster that’s seen as offensive or discriminatory by someone in your organisation could get you in trouble, so we’ll show you how to make sure this doesn’t happen. We are all individuals, as are the people in every organisation, each from different backgrounds with individual needs; all deserve to be treated with dignity and respect when they come to work. Most people will work together well, but occasionally there will be ‘characters’ within teams who can cause offence, either deliberately or unintentionally. With our approach to Code of Conduct you’ll learn to recognise potential troublemakers and understand how to deal with them effectively. Just Libra’s Code of Conduct will work for everyone in your organisation from tradesmen to senior leaders. The same rules apply to everyone – they just need to be delivered a little bit differently sometimes. We’ll help you do that.